Hello Lauren! Good to see you, the kettle’s just boiled – what would you like to drink? Hi Wendy, I’ll have a peppermint tea thanks, that’ll be lovely. Make yourself comfy... OK, so tell us a bit about yourself and your business. I’m a 27 year-old Scottish lass, living in Birmingham with my husband, Ayaz, and my 3 chickens. 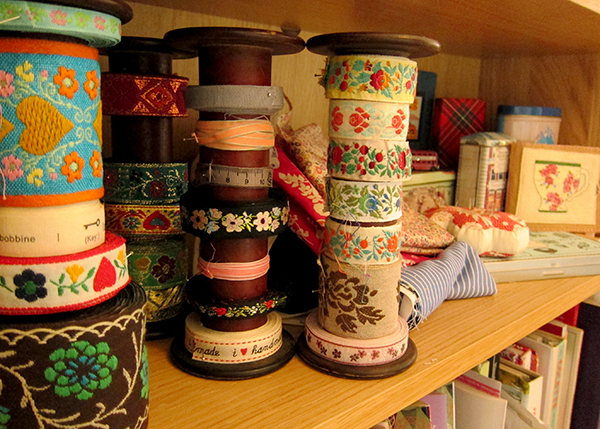 I have always been interested in sewing and craft and just generally making stuff and being creative. My Mum used to be a dressmaker and she organised a local craft club so the house was always full of fabric and the sewing machine was always out. 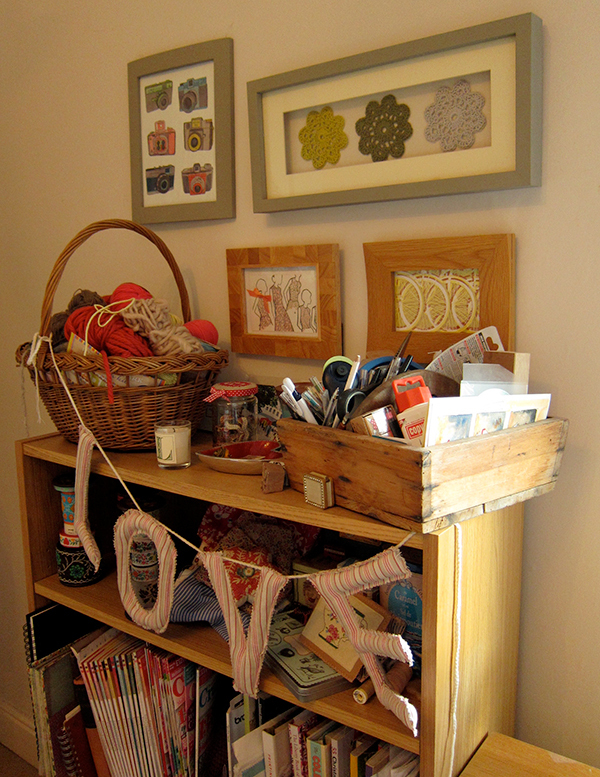 I now own my own haberdashery, yarn and fabric shop, based in Moseley, Birmingham which is called Guthrie & Ghani. At the moment the business is online while we renovate an amazing mock Tudor building that was built in 1898, which will eventually be our bricks and mortar shop. 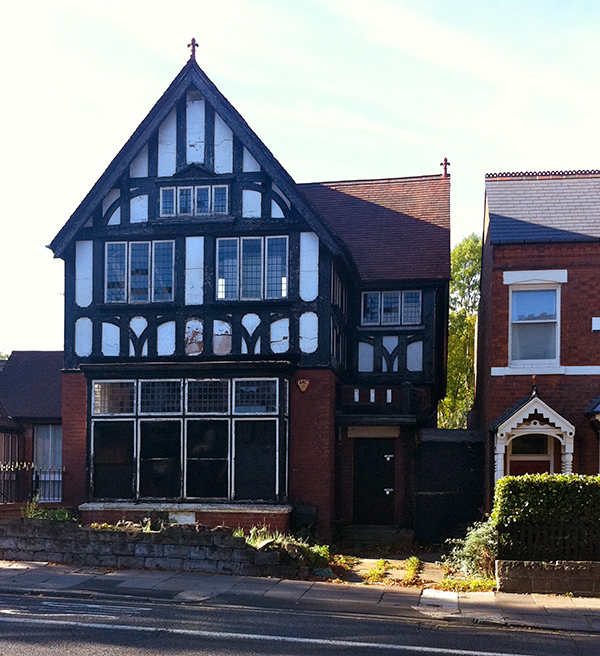 When we open we will also have a fantastic large open plan creative studio to host workshops, parties, exhibitions and fairs. 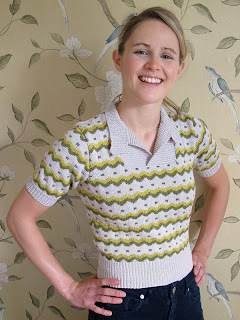 I’ve been doing regular updates on the blog of how things are progressing so have a look there for lots more pictures. Our online shop offers a special collection of only the loveliest fabrics, yarns and all the bits and pieces you need to make your creative projects really special. Sometimes I feel picking out the best supplies can be overwhelming as there is so much choice out there. We aim to do the hard work for you buy sourcing only the finest products for our customers to choose from. Two of my favourite collections that we are now stocking are Gypsy Caravan by Amy Butler and the gorgeous Japanese fabric from Echino by Etsuko Furuya. 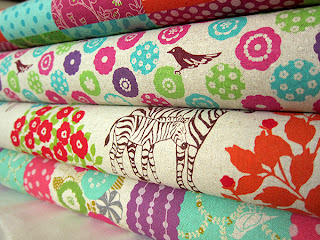 I love the floral prints in Gypsy Caravan and the vibrant colours in the Japanese fabric is to die for. 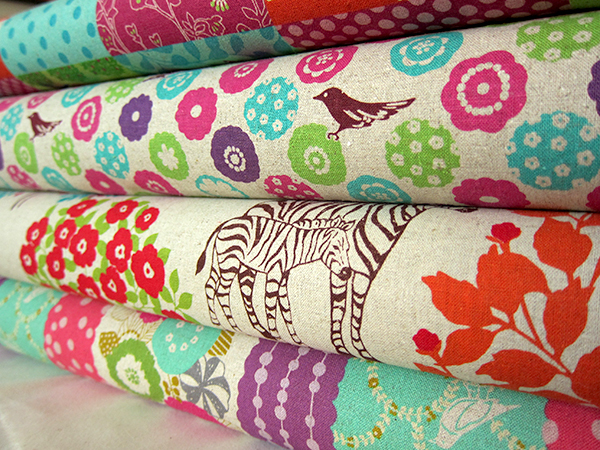 I love anything with birds and animals so the Echino fabric with its lovely illustrations is right up my street! What inspired you to start your creative business? How did it all begin? My professional background is in something quite different from being creative. I studied physiotherapy and worked in the NHS for over 5 years. 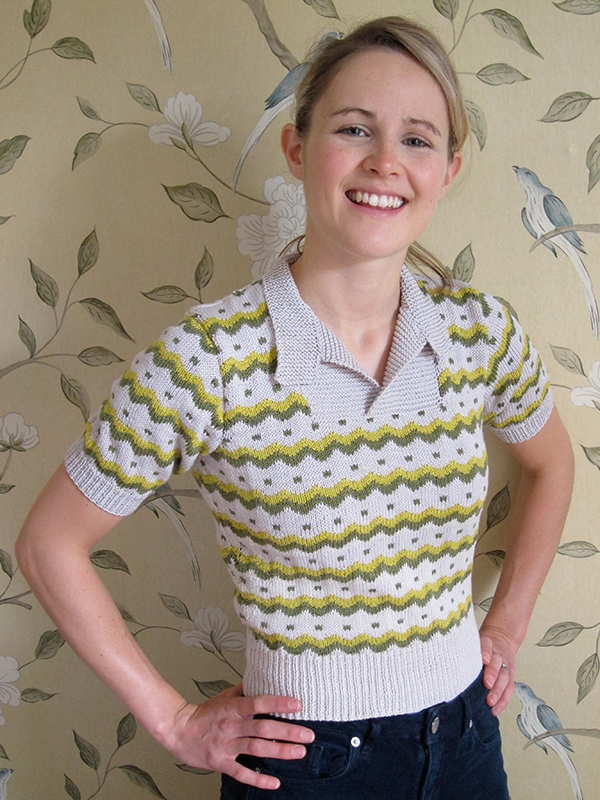 Then I started getting strong creative pangs and I began to spend more time sewing again and my mum taught me how to knit. I did a few night classes and weekend courses in upholstery and textiles. I then came across an online course called the ‘Do what you love” e-course. For 6 weeks we were given daily tasks and activities to help you realise what your true values and passions were and to help you figure out what direction you wanted to take in life. It was after that, I took the huge step of leaving a career that I had known and enjoyed to do something that I was really passionate about and that was concentrated around creativity and encouraging others to be creative too. How has your business changed and developed since it started? Then main thing I have learned so far is that things never seem to go completely to plan. We just launched the online shop a few weeks ago but the initial plan was to open our bricks and mortar shop first and online in the future. As I’m sure you can imagine, renovation projects always take longer then you think they will. I was really eager to get my business started despite the hold up in renovations so we decided to go online in the meantime which I’m really excited about. What are the main ways you promote your business? Which methods have been the most successful for you? So far I have been using social media a lot to promote my business and have aimed to link up with local people on Twitter and Facebook. I have also contacted local magazines and press about my story and hope to have an article with some of those publications too. Local craft groups and knitting circles have also been a great place for me to meet like minded people and network about what is going on in the local area as I didn’t know anyone when I first moved to Birmingham. What’s your workspace like? Can we have a sneak peek? And do you have any workspace organisation tips for the rest of us? I live in a 2 bedroom terrace house so there isn’t a huge amount of room for a designated work area. I tend to move around and have a little area in the spare bedroom, things hidden in the drawers of the coffee table in the living room and more recently I’ve taken over the dining room as well. I would love to have a whole designated room as a studio but in reality most of my fabric is packed away in a cupboard and the sewing machine gets set up when I need it. 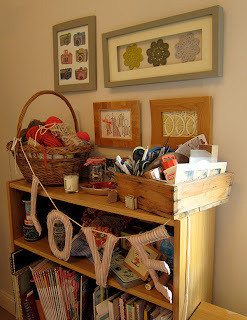 This a picture of a little area in my spare room where I keep a lot of my smaller supplies. I wanted it to look lovely as well as be functional so I bought a cute old basket for storing yarn and a gorgeous Victorian tug which I use to keep pens and things in. I’ve been collecting old picture frames from car boots as well which I put nice little prints in and I also made some ‘art’ out of crochet flower coasters. I love vintage finds and when I spotted these large old wooden bobbins I knew they would be perfect for all my ribbons. They used to just be in a box but now I get to see them more often which is lovely! 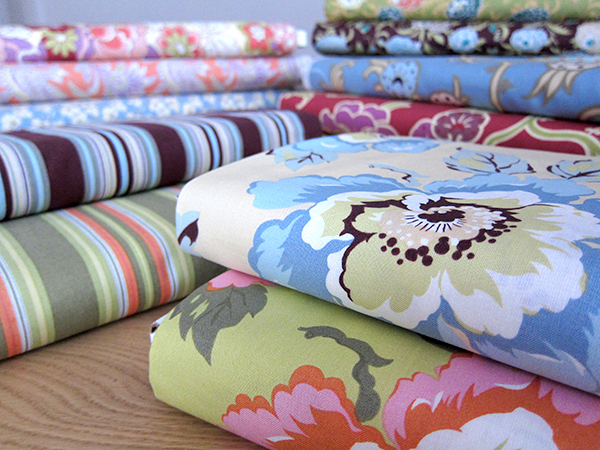 My top organisational tip when I’m sewing is…… I try to keep all the thread tails and fabric scraps in a wee pile to the side as I go along. If not they just stick to me or end up stuck in the carpet. I find it makes it a bit easier when tidying up afterwards and stops the hoover getting clogged with thread! What are the best and worst bits of running your business? The best bits are being able to control my own schedule and be flexible as well as make my own decisions. And of course I get to be surrounded by lovely fabric and yarn all day, which is very inspiring! The difficult parts are the steep learning curves and having to figure out how to actually run a business, not just being creative all day. I would love to sit and sew or knit all day but there is always the admin and organisational side of things to do as well. What other small (or not-so-small) creative businesses do you admire? I love the gorgeous handmade lampshades by Zoe Darlington and Melanie Porters knitted furniture looks so amazing! There are so many fantastic designer makers out there but the ones that really stand out for me are the people who do something a bit different that really stands out with their skills. What tips can you give to others who run (or hope to run) a small creative business? It can be hard to contend with actually running a successful business…it’s a whole skill in itself that is so different from what your creative skill may be. There are lots of places to get help with the business side of things. I contacted the Prince's Trust but have also made use of the business link website and business forums which are great as you can ask questions to other people who have been through it before. What are your hopes, plans or ambitions for the future? Although I love having my business online and being able to have that online presence, I cannot wait to open my bricks and mortar shop! I have visions of how amazing it will look and I really looking forward to sharing it with everyone. Finally, where are the places we can find you online if we want to partake in a little friendly cyber stalking? Thanks so much for stopping by, Lauren – it was so nice to be able to take the time to chat with you!